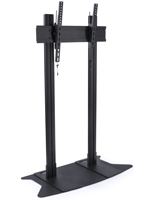 This LCD Stand can hold a 42" to 72" TV! 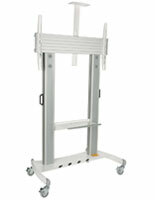 Place a 50" television onto an LCD stand today. 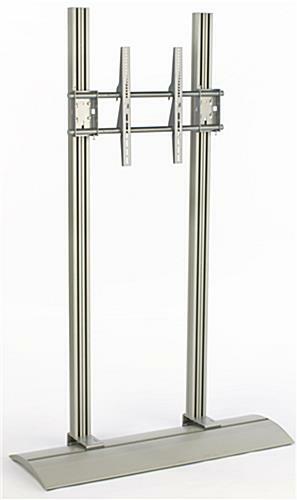 This LCD stand features a large adjustable bracket that can hold a 42" to 60" LCD or plasma TV that weighs less than 80 lbs. 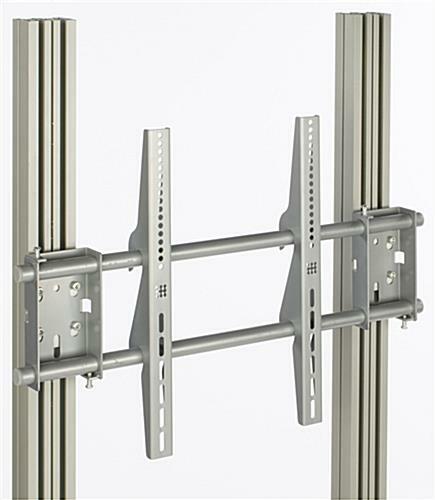 The adjustable VESA LG bracket bracket easily attaches to most TVs, including 50" models, and securely attaches onto the stand. We include all necessary hardware to attach most televisions to this bracket; however some TVs will require specific screws you can buy at a local hardware store. 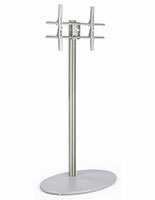 A plasma stand, LCD stand utilizes a wide base to keep your television stand stable. 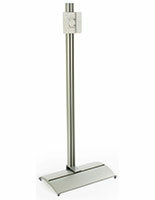 This plasma stand is the LCD stand usually used in conference rooms, trade shows, and in some waiting rooms. This LED mount is compatible with VESA LG brackets which make it a popular unit to use with your television, even brands like Sony. This LCD stand can mount a 50" flat screen TV and is available with wheels to make it easy to transport your display from one room to another. 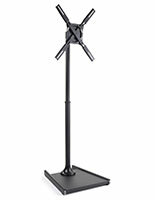 This LED bracket can be displayed at tradeshows or even in a commercial training room with the ability to mount any brand of television such as a Sony. 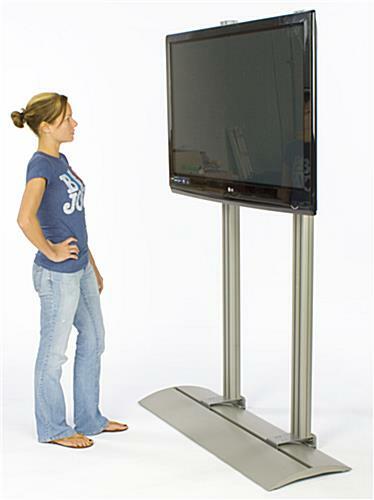 Mounting a 50" LED TV to this LCD stand is ideal for companies looking to promote in a unique innovative manor. This plasma mount will go with any television between 42" and 60" as long as the weight is below 80 lbs. 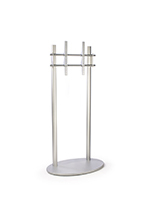 An LCD stand, like a screen stand and a 50" TV stand, is made from durable aluminum with a satin silver finish, blending in with any environment. The LCD stand has (4) plastic strips provided with each pole, allowing you to conceal wires from your TV in a channel along the poles. 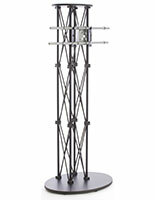 An LCD stand, like a plasma stand and a screen stand, is shipped unassembled to save on shipping costs, and is easily assembled in minutes. 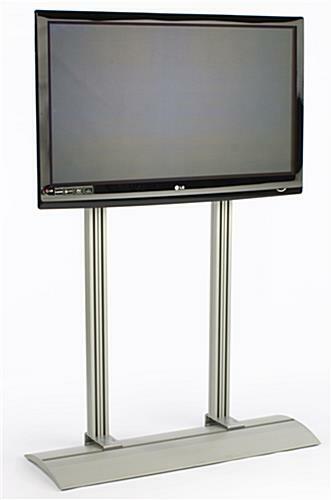 The TV stand, LCD stand is a convenient to bring your company into the digital age, utilizing the latest in technology to provide a great presentation tool. 47.8" x 75.0" x 17.0"